How Should Homeopathy Be Practiced? This discussion is to help you with a specific problem — the finding of a suitable homeopathic veterinarian to treat your animal. It is often advised that you find a veterinarian that can offer homeopathic treatment to resolve difficult illnesses. Here we are recommending veterinarians that have been trained in the tradition of homeopathy, that which was originally started by Dr. Samuel Hahnemann and then developed over the next 200 years. This is the “type” of homeopathy that is taught by Dr. Pitcairn to veterinarians that take his post-graduate course. The difficulty facing you as a client when you agree to seek this recommended treatment is that there are other practitioners that will say that they too are practicing homeopathy, even possibly saying what they are doing is “modern” or “advanced” homeopathy — implying that what they are doing is better. The fact of the matter is that these other methods are not the homeopathy that has been used these last 200 years but are new variations that have been introduced in the last 20 years or so. 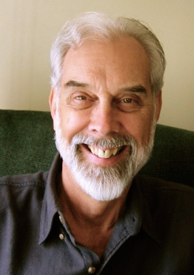 It is Dr. Pitcairn’s opinion, from his experience in using homeopathy as his method of treatment over the last 30 years, that these “new” methods are inferior approaches and are not the methods to use. So when “to use a homeopathic veterinarian” is recommended to you it is also necessary to give you this guidance to find that veterinarian. In other words you need guidance in recognizing that the veterinarian you would like to use is one that practices homeopathy as Dr. Pitcairn is advising you to use. Why there are these variations in practice is a large topic and only brief indications of how these methods are different will be mentioned here. As background to this part of the discussion it helps to understand that there are broadly two schools of thought in medicine. The one we are most familiar with is called allopathic medicine and the goal of such treatment is to reduce symptoms in the animal patient. This sounds good, doesn’t it? The critical thing to understand is that reduction of symptoms (as is done with drugs and surgery) is not the same as restoring health. This is because it is possible to reduce symptoms, or make them go away with the action of drugs or by removing that part of the body (surgery), as a direct effect of this intervention. To make this more clear, it is the drug (or surgery) that is doing it — not the animal body healing itself. The other school, in this case represented by homeopathy, sees symptoms as the defense mechanism of the patient and not to be suppressed as is done with allopathic medicine. Rather a single medicine is chosen that will stimulate a movement in the direction of recovery of health so that the symptoms disappear of their own when no longer needed by that animal. When veterinarians take up homeopathic medicine they can learn it in the way recommended by Dr. Pitcairn, that is, based on this critical difference in understanding, or they can learn it in a way that is closer to allopathic thinking. It depends on how they are taught and how much understanding has been established. This being said, there are 5 main groupings we can make as to what you will encounter in your search for a veterinarian to work with. 1. The main form of homeopathy as taught by Dr. Hahnemann and developed over the last 200 years. Detailed information is elicited and standard reference works are consulted to determine prescription. This is the method recommended by Dr. Pitcairn. 2. “Allopathic” homeopathy in which the medicines are used in a very similar fashion to how drugs are used in allopathic practice. Commonly, several homeopathic medicines are mixed together, often repeated, and sometimes injected into the body with a syringe. 3. “Psychic” homeopathy in which the standard reference texts (accumulated knowledge that guides homeopathy) are not used but rather an electronic machine, a radionic instrument, a pendulum (for answers to questions) or what is called “Applied Kinesiology” is used to determine how treatment should be done. The latter term is sometimes called “AK” and usually is done by testing the strength of the client’s arm while they touch the animal (or in some instances while holding a hair sample or blood spot). 4. Variations of what seems to be homeopathy in that the same remedies are used in some way, or the terminology is similar in sound. Examples are Homotoxicology and Anthroposophical medicine. The methods will be actually based on different principles and understanding of health and disease in spite of the apparent similarity in some of the language. 5. “Eclectic” or “integrative” practice, this being a type of practice in which homeopathy is one of several treatments done. For example, homeopathy combined with herbal medicine, chiropractic, acupuncture, perhaps even allopathic drugs. Part of the confusion in making the distinctions indicated here is that the usual form of homeopathy over the last 200 years has been called, well, just homeopathy. However, as these other variations have arisen then it became necessary to try to identify, what we may call traditional homeopathy, by some additional term that would distinguish it. This was first done by using the word “classical” as in “I practice classical homeopathy”. This was OK for a while but then the other forms of practice began using it the same way and it became valueless as a guide. More recently the preferred term is “Hahnemannian” meaning the type of practice developed originally by Dr. Hahnemann. For now, it more or less works, but once again, is being picked up and used by the other forms of practice that actually have little to do with Dr. Hahnemann’s original work. So we need some additional guide to help us in being clear about we are getting in to. We will do this by using a list of cogent questions. Guidance in determining the type of practice. You can use this series of questions when first contacting a veterinarian or their practice staff, questions you can ask that will enable you to see for yourself what kind of treatment they will be offering you — which category their practice style falls in to. Of course, once determined, it is up to you to decide if you want to proceed with that method or not. At least you will have more accurate expectations as to what will be done. This is not to say that these other methods of practice cannot help your animal. It is more that the homeopathy that Dr. Pitcairn is experienced with is the method that he is advising you to use, the form he has confidence in. The following questions are devised to point you to the type of practice that is recommended by Dr. Pitcairn so the question will be followed by an explanation of the meaning of the question and interpretation. You may want to interview the potential practitioner by asking these questions directly, one by one. Alternatively it may seem easier to have a more free form discussion by bringing these questions up in a discussion. It is not necessary to ask every question as the undesired answer to any one of them will be enough for you to know that the method offered will not be compatible with your expectations (assuming you want treatment by homeopathy, or “Hahnemannian” homeopathy). Q 1. What is your method of selecting the homeopathic prescription? Do you use a repertory and materia medica? What we are asking here is to see if the basic books are being accessed. The terms used here — materia medica and repertory — refer to the root sources that a practitioner consults in doing this work. Be alert to suggestions of using any kind of machine or Applied Kinesiology or any psychic methods such as use of a pendulum or radionic device. The next question leads to that possibility even more. The answer we are looking for here is that they rely on the books listed rather than some other intuitive method (intuition is fine but it works better in homeopathy when the principles of homeopathy are well understood). One response that may be confusing is the use of computers in working a case. There is computer software (the most popular ones being “MacRepertory” or “Radar”) that have the basic book material on a computer which makes the process faster and more efficient. This is very compatible with the proper use of homeopathy and is different than the computers that are used to read meridians or some kind of energy pattern of the patient (in which the computer is somehow hooked up to the patient). Q 2. Do you use devices such as an Interro, Electroacupuncture according to Voll (or other electronic instruments), applied kinesiology, a radionic device or a pendulum? Here we are asking specifically about the most popular forms of finding a Rx with some other assistance other than use of the intellect. The Interro is a computer setup that is said to read your meridians (while you hold a metal round object) and lists the remedies you need (usually multiple and given by injection). Electroacupuncture according to Voll is a similar electronic instrument with a probe held on the fingers and toes to read the meridians. With both of these devices we move away from homeopathy to the model of Chinese medicine that teaches there are energy paths, meridians, that can be evaluated and which lead to the prescription. Whether or not this is correct is not the issue here. What it indicates is that the practitioner does not understand or practice homeopathy in the usual sense of the word. The other methods mentioned (AK, radionics, pendulums) rely on a presumed higher source of knowledge that bypasses the conscious intellect. The mind is made quiet, questions are posed and the device gives the presumed answer. If your quiet mind hears a “yes” to any of these I would avoid that practitioner. Q 3. Have you studied Hahnemann’s book, the Chronic Diseases? This will not mean anything to you as the customer but this is a basic book through which the practitioner learns how to treat chronic disease conditions. If they have not studied it (and surprisingly, many have not) then they will not know how to do this and will be using some other method of treatment that is not effective for these challenging cases. If they have not read it then I would not use them for cases that are difficult or prolonged or what Dr. Pitcairn has referred to as “chronic” in his book or on a forum. Q 4. When you prescribe for a chronic condition, do you emphasize the remedies listed as antipsorics? I know this is all “greek” to most people but the questions and terms in these questions really do focus down on these differences we are talking about. The medicines that are called “antipsoric” (silent “p”, anti-sorik) are the ones that are properly used in the treatment of chronic diseases. Many practitioners now use a large variety of other medicines and this is what we want to avoid. You might meet some practitioners that do not even know what this means — which in itself is revealing. We are looking to find a practitioner that knows the importance of this group of remedies. If they answer “no” then seek further for a practitioner. Q 5. In prescribing for a chronic condition, do you prefer to choose among the small remedies? Another use of code words, “small remedies”. What this refers to is a recent practice of avoiding the medicines that have been learned to be of most use and importance over the last 200 years and instead use ones that have rarely been used or are little known. I know this sounds really strange (and it is). The idea is that some medicines have been overlooked and should be used more. An interesting idea but not one that is correct. If the answer is “yes”, seek further. Q 6. Do you use remedies that are among those in the periodic table of the elements? This is a modern method that emphasizes the minerals in the periodic table. They are for the most part not proven (how they act has not been determined) and it is suggested not to use a practitioner that emphasizes these. Q 7. Do you prescribe using the idea of matching the patient to the Kingdoms of Nature? That is, deciding if the patient needs an animal, plant, or mineral remedy based on their appearance to you? This is a most popular new idea of the last decade or so. It refers back to centuries ago when people thought that the plant or animal to use would be indicated by their appearance or activity. For example, a plant that oozed yellow sap when picked could be useful in treating liver problems with excessive yellow bile. Or a plant shaped like a human hand would be of use in diseases of the hand. This was referred to as the “Doctrine of Signatures”. This idea was rejected by Dr. Hahnemann at the outset as unreliable but has appeared again in contemporary practice as a result of influence of teachers from India. For example, you work with horses, love them, wear western wear you will likely get “Lac equinum” which is horse’s milk. This, or some variant of it, is the most popular practice today. Obviously we are recommending against it. Q 8. Do you use the “new” remedies such as the ones from human milk, chocolate, coca cola, hydrogen, placenta, human sperm? I know this sounds really strange but nonetheless many homeopathic practitioners now emphasize the use of these odd substances that have never been used in homeopathy before and have dubious applications. They are neither necessary in treatment nor desirable in the sense that they mess up most cases and make later appropriate treatment more difficult. Q 9. Do you prescribe Carcinosin very often? Another question that is inviting the practitioner to reveal that they have been influenced by the modern teachers that emphasize these “new” remedies. Carcinosin is homeopathic medicine made from cancer of the breast and if often used in any patient that is considered “mistreated, suppressed emotionally, withheld emotions, etc.” Way overused and inappropriately. Avoid this. Q 10. Do you always prescribe one remedy at a time or do you mix remedies? Do you alternate two or more remedies? This is really two questions but they are related. The first one refers to the deviation from standard practice of giving only one medicine at a time to the mixing of several together. This is never done in homeopathy (even though there are over-the-counter formulas sold). It is a practice done by those that have had little training in homeopathy and is basically, once again, “allopathic” homeopathy. The other practice of alternating remedies refers to giving one medicine on the first day, another on the second day, then back to the first on the third day, and so on. It is giving medicines, at least two, back and forth. It may not be daily, could be weekly but the practice is not correct and to be avoided. Run, don’t walk. Q 11. Do you use homeopathy as your chief modality? Or do you have other treatments used at the same time? Here we have the possibility of homeopathy mixed with allopathic drugs, Chinese medicine or acupuncture, herbal treatments (potent forms of), or along with variants like Gemotherapy, Homotoxicology, and such like. Generally, there is no interference if nutrition and/or chiropractic used at the same time (if no laser use or application of camphor), however the other ones listed will interfere with the response or make interpretation difficult. Most importantly, the practitioner that uses all these methods (an eclectic practice) will not have the desired understanding of homeopathic practice. Q 12. If you are treating an animal with homeopathy and they need dentistry (perhaps teeth removed), or are thought to have Lyme disease, or develop an infection or abscess, would you then change over to using antibiotics and other allopathic treatments? There are many veterinarians that offer homeopathy that do not really rely on it when “times get tough”, when there is what appears to be an infection or severe inflammatory condition. This, of course, is their professional opinion but going back and forth between homeopathy and the usual use of drugs does not really work well and is not the most skillful approach. You may not have choice in this regard but if you do, especially with animals having a chronic condition, try to find a veterinarian that firmly believes in and uses homeopathy even in what appears to be serious illness. I know these questions seem complicated and excessive yet I don’t know any way around it if you really want to make an evaluation of this practice. It is unfortunate, but a reality, that there is no agreed upon standard of practice among homeopathic veterinarians. So it comes down to the customer to make the determination. This is not really fair or desirable but the way it is. If homeopathy develops to the point of more use, of being taught in the veterinary schools, then it is possible that a standard will be established. Until that day “caveat emptor”. You likely could find out if you want to work with this practitioner after asking just a few — certainly the undesired answer to just the first two or three would be enough to make the decision. One place you can start looking is the referral list on this web site. The list here is of students of Dr. Pitcairn’s that have taken the Professional Course in Veterinary Homeopathy, a year-long program of 130 hours in class with other homework and study which prepares them for homeopathic practice. Mind you, even so, it is necessary to determine if that veterinarian has stayed with the method taught there or has moved in one of these other directions. The questions are still appropriate.